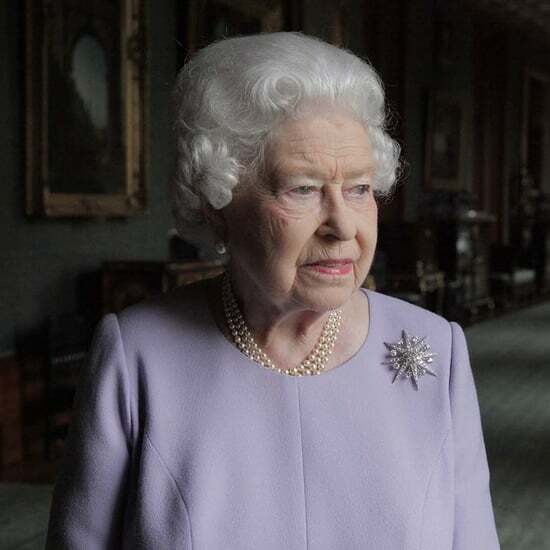 Why Does the Royal Family Wear Red Poppy Pins? The royal family may have welcomed a new prince on Monday, April 23, but the emotion-filled week did not stop there. On Wednesday, Prince Harry and Meghan Markle honored late Australian and New Zealand Army Corps members with a series of appearances on Anzac Day. 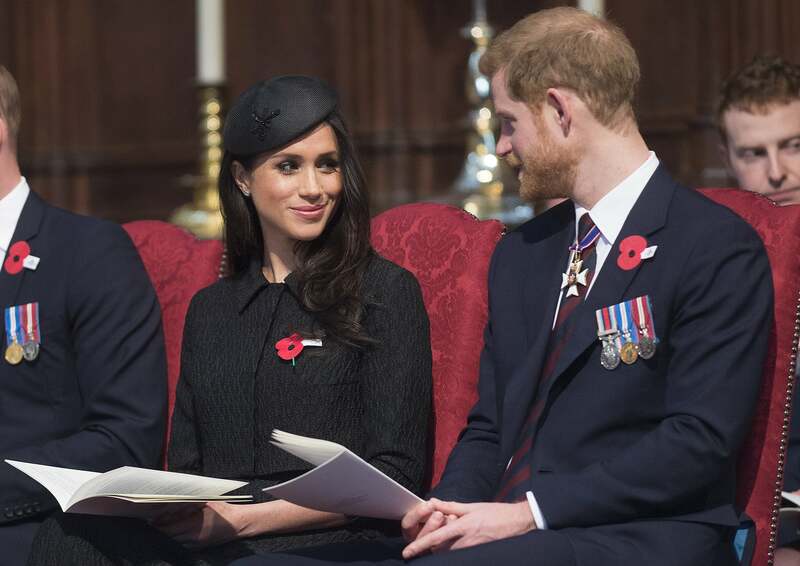 While Meghan did sport a gorgeous gray coat, and a classy black ensemble for a Service of Commemoration and Thanksgiving later in the day, she and all the royal family members had one thing in common with their outfits: a red poppy pin. 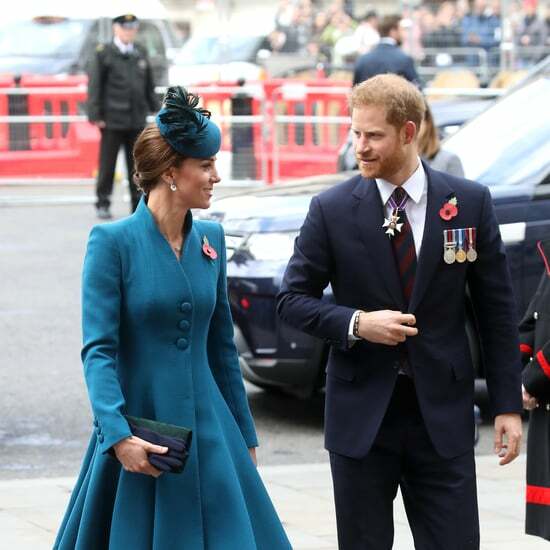 The well-known red poppy pins are typically worn in November around Remembrance Day, however, Prince Harry, Prince William, and Meghan all wore the red pins on Anzac Day to honor military members who fought against the Ottoman Empire in World War I. All sales of the red poppy pins in the UK are donated to members of the Armed Forces in need. 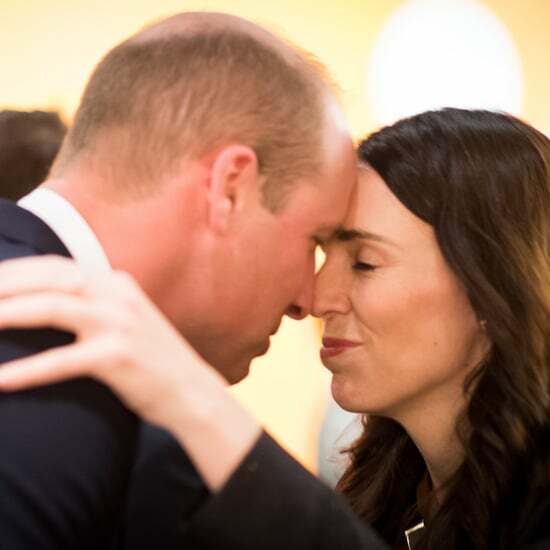 For Meghan's first year attending the Anzac Day services, she wore a simple poppy pin with two petals and a leaf, but both Prince Harry's and Prince William's pin did not have a leaf. Poppy pins come in all different shapes and sizes, some even with precious stones. There is no right or wrong type of poppy, however, it is typically worn on the left side of a coat. According to People, the symbol is believed to have originated from the poem "In Flanders Fields" by John McCrae, which is about World War I.